Jen Johnson is VMG Health’s Chief Commercial Officer, and also serves as a Managing Director, having led the Compensation Division since 2006. Her expertise is related to issuing Fair Market Value opinions and developing solutions for compensation arrangements, as well as assisting health systems with documenting the commercially reasonable standard. She is focused on cost effective compliance and has been integral in developing internal compensation tools for some of the largest health systems in the country. Mrs. Johnson has extensive experience with every type of compensation arrangement including clinical services, administrative services, management agreements, and on-call coverage. Her primary focus has shifted to helping health systems understand how to stay compliant with physician compensation while incorporating pay for performance models to the existing fee for service landscape. She understands the multitude of new arrangement types and regulatory nuances associated with these new models, including co-management agreements, hospital efficiency programs, quality payments, shared savings arrangements, and the allocation of payments from Accountable Care Organizations (ACOs) and Clinically Integrated Networks (CINs) to physicians. Mrs. Johnson is routinely published on these topics nationally through organizations such as American Health Lawyers Association, American Bar Association, Health Care Compliance Association, and Healthcare Financial Management Association. Other accomplishments of Mrs. Johnson include providing expert witness testimony related to Fair Market Value, and serving as a peer review editor for the Journal of Hospital Administration. 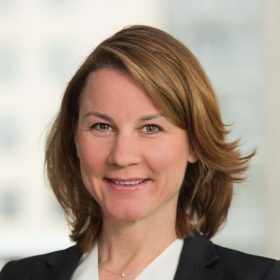 Mrs. Johnson began her valuation career with KPMG, LLP in their Forensic and Litigation Services department in 1998, where she worked directly under experts in the field of finance, accounting and economics. She also served the University of North Texas as a finance professor. Prior to that, she earned her BBA and MBA in Finance as well as the Chartered Financial Analyst designation, while working for several companies in a consulting capacity. Her consulting work included business valuation, financial projections, and operational systematizations.